Learn more about a breakthrough ADHD treatment known as BrightSpark, in this article. ADHD stands for Attention Deficit Hyperactivity Disorder, a condition that affects 10% of school children. While this condition can be found in both boys and girls, of those who have ADHD, 3 out of every 4 children are boys. Most parents deny the fact that ADHD is an actual clinical condition thinking that their kid is only hyperactive, full of energy and are simply disinterested in sitting down to focus. But, such a condition will persist to an extended period of time and will have noticeable effects of the kid’s ability to function socially and academically. Then, it becomes alarming. There are no conclusive findings on what causes ADHD but, studies have shown that genetics play a big role in combination with environmental and social factors. That’s because nowadays, children with ADHD can benefit from BrightSpark ADHD. It is a natural medicine that is formulated to relieve hyperactivity associated with Attention Deficit Hyperactivity Disorders (ADHD). 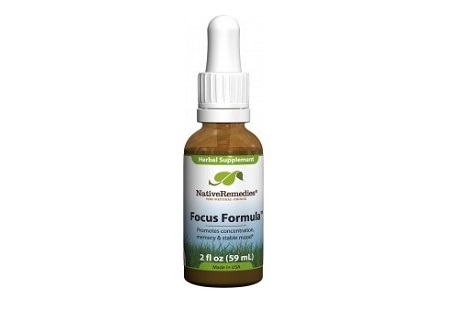 It is a homeopathic remedy for ADHD symptoms. 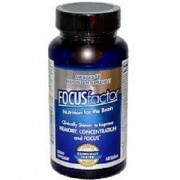 It provides improved concentration. It keeps children from easily being distracted. It improves their decision making. It reduces impulsive behaviour. And, it’s a relief from involuntary twitching. 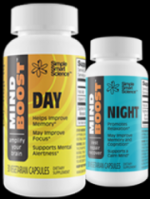 It is a safe all-natural product that has many reviews from parents who have seen an improvement in the lives of their children suffering from ADHD. Native Remedies BrightSpark only uses natural ingredients. Hyoscyamus which contain alkaloids that serve as anticonvulsants and tranquilizers. Arsen iod which aids in promoting emotional stability to restless children. Tuberculinum to stop irritability for a more balanced mood and positive outlook. Veret alb which will also control irritability and restlessness. Natural ingredients assure zero side effects. There are no artificial preservatives, colours or flavours, it does not contain gluten and it is suitable for vegetarians. The good thing about this product is that there are no drug interactions so every parent who’s going to use the product to support their child’s hyperactivity won’t have any worries of it causing any problems as an additional natural medication along with the other medicines their kids are taking. As always though, we do recommend checking with your doctor before adding anything new to existing medications. How Should I Use it to Achieve Maximum Results? For first timers, 1 tablet should be taken for the first 6 hours. On the following days, 2-tablet doses should be taken 3 times a day. BrightSpark for children tablets are flavoured and do taste pleasant. They can be chewed or just placed on the tongue until it dissolves. It can be crushed and would go well with ice cream or any beverage. In most cases, the improvements are visible immediately but for some, it may take up to 6 weeks before any noticeable improvements take place. Those who follow the prescribed dosages on a regular basis project clearer signs of behavioural improvement over those who miss out. To gain the optimum results use with a sound healthy diet, sleep and proper exercise. It can be used in conjuction with Native Remedies Focus Formula and can be bought in a handy combo pack. 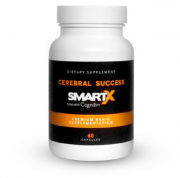 Many reviews have noted maximum effect when the two have been combined, especially in more severe cases of ADHD. In terms of accessibility, it is a safe over the counter medicine that is all natural leaving every parent free from worries about negative side effects or addiction. For effectiveness, it has proven immediate relief from restlessness, hyperactivity and everything associated with AHDH. In terms of ease of administration, it is child-friendly and will provide no problems when taken in regular dosages (always following the recommended guidelines). When concerned about complications, this product has no drug interactions. Side effects are nil. When thinking about safety, this product is registered safe by the Food and Drug Authority (FDA) which provides more assurance for parents. While the relieving effects are immediate in most cases, there are people who will feel the effects a little later, as far as 6 weeks from initial dosage. Whilst having great responses from parents and teacher observing children’s improvement whilst using this product, there are not as many positive reviews for adults suffering from ADHD. 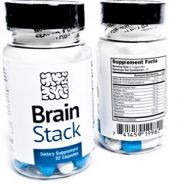 Taking these tablets more than the prescribed dosages will have adverse effects on your health. However, taking it as suggested you will be well clear from these dangers. But this would also be true for any medicine. Taking anything beyond what is recommended is dangerous. So even if these tablets are child-friendly, nice and chewy, it is best to keep the bottle away from them and restrict them from taking a tablet without parental supervision. Pregnant women and breast feeding mothers should consult their doctor before using this product. As with all medical products, people with serious medical conditions like heart diseases should consult their attending physician before taking any new medicines into the mix. A single bottle which contains 180 tablets (good for 30 days) costs $38.95. There is an on-going promo of buy 2 and get 1 more for free at $77.90 for 90 days worth, a saving of $38.95. That would be about $1.30 a day for a regular bottle and about $0.87 a day if you go with the promo. Still it would be advisable to just get 1 bottle and take advantage of the promo when you have already proven its worth. The bottom line is that those who experienced immediate relief will say that these are a bargain. While those who felt the relief a little later on and persevered also gave great feedback. As everyone is different, an adequate amount of time needs to be given to see if they work for you. You won’t be able to answer that unless you try it out by buying a bottle and seeing it for yourself. Considering there has not yet been any adverse reviews, then by all means, it’s worth a try. Considering that it is just a little less than $ 39 and has the potential to relieve you with the stress of having ADHD or the emotional stress of seeing your child suffering from ADHD then, it’s worth the gamble. Now, since Native Remedies BrightSpark is totally safe and natural, they offer a money back guarantee and it can be used alongside Focus Formula, then, there is really no reason for not trying it out.